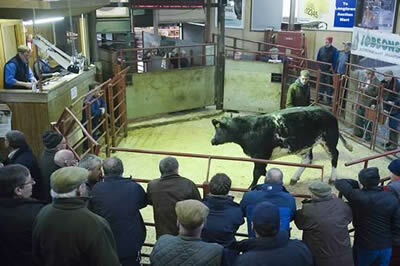 Cast cows sold to 172p for a Stabiliser from Messrs Ritson, Swaites, with Limousin cows to 133p also from Messrs Ritson. A nice selection of prime cattle sold to a similar trade and peaked at 231p for a Blonde shown by J&J&D Taylor, Englishtown, following that at 224p was another Blonde also from Englishtown. Top price per head was £1,348.20 again from Messrs Taylor. Limousin 220p (x2), 210p, 209p, 208p Englishtown. Limousin £1,298, £1,243, £1,239 Englishtown. Another large entry of 5,379 prime hoggs were forward to the usual ring of buyers, with an excellent show for both quality and flesh forward, including a large number of well finished Blackface hoggs. Best hoggs maintained recent high rates, with all others similar on the week. The sale topped at 261p for a pen of tremendous Beltex hoggs from D & D Aitken, Uppercleuch, Lockerbie, with top price per head peaking at £107 and £105 for Texel hoggs from A & M Duncanson, Marchbank, Moffat. Overall sale average 189.0p (SQQ 191.0p). Beltex 261p Uppercleuch, 257p Oakwood & Heathery Hall, 256p Oakwood, 254p Carstairs Mains, 250p Gelston Castle & Oakwood, 246p Uppercleuch, 245p Gelston Castle, 244p Heathery Hall & Whitegates, 243p Carstairs Mains, 242p Sorbie, 239p Shankcastle, 234p Gelston Castle, 232p Burray, 229p Whitegates & High Greenhill, 224p Uppercleuch, 222p Gelston Castle. Texel 247p, 241p Uppercleuch, 237p Outertown, 235p Newton Cottage, 229p Gelston Castle, 224p, 221p Heathery Hall, 220p Balachallan, 218p High Greenhill, 218p, 215p Balachallan, 215p Hallburn, Dunjop & Lennox Plunton, 213p Cadgillhead, 210p Braithwaite Hall, Common House, Kirkbride & Lennox Plunton. Suffolk 202p Heathery Hall, 197p Broomhill, 195p Ormiston, 193p Park Nook, 192p Glendearg, 192p, 191p Townhead, 190p Archerbeck, Braithwaite Hall & Boreland, 189p Drutchtag, 188p, 187p Outertown. Charollais 198p Maryholm, 193p Tinnishall, 192p Allfornaught. Blackface 195p Clonrae, Heathery Hall & Dullator, 192p Bush of Ewes, 189p Barlaes, 186p Maryholm & Bush of Ewes, 185p Dullator, Grobdale of Girthon & Heathery Hall. Cheviot Mule 194p Marwhirn, 193p Kirkbride, 190p, 188p Marwhirn. North Country Cheviot 191p Sceugh Dyke, 189p Boreland, 187p Roughet Hill, 183p Longburgh Fauld. Cross 189p Brisco Meadows & Archerbeck, 186p Bush of Ewes, 184p Rowanburnfoot, 184p, 183p Mains of Collin, 183p Compstone End, 180p Broomhills, 179p Nunscleugh, 178p Rownaburnfoot, Riggshield, Barlaes & Nunscleugh. Cheviot 188p Hallburn, 187p, 186p Longburgh Fauld, 184p Glendearg, 183p Sceugh Dyke & Longburgh Fauld. Texel £107, £105 Marchbank, £103, £102 Drumreach, £101 Newton Cottages, £100 Marchbank, Park Nook & High Greenhill, £99 Uppercleuch & Oswie, £98 Braithwaite Hall, Oswie & Heathery Hall, £97 Outertown, £96 Millriggs, £95 Fagra, Aldery Terrace & Tundergath Mains. Beltex £105 Oakwood, £102 Carstairs Mains, £101 Shankcastle & Brisco Meadows, £100 Whitegates, Burray & Oakwood, £99 Carstairs Mains, £95 Heathery Hall, £94 Uppercleuch, Whitegates & Oakwood, £92 Brisco Meadows. Suffolk £98 Braithaite Hall & Sceugh Dyke, £93 Becton Hall, £89.50 Boreland, £89 Sceugh Dyke, Dunjop & Paddockhole, £87 Hallburn & Kelly Barns, £86.50 Broomhill, £86 Fellend, Townhead, Auchengray & Carsegowan. Cross £90.50, £88 Fardingjames, £87 Barlaes, Sloda Hill & Brisco Meadow, £85 Patties Hill, £84 Dunjop, £83 Archerbeck, £82 Nunscleugh, £80 Patties Hill. Cheviot Mule £90 Becton Hall, £88 Fardingjames, £81 Kirkbride. Cheviot £88 Sceugh Dyke, £84, £80 Longburgh Fauld, £77 Hallburn, £73 Longburgh Fauld. North Country Cheviot £87 Marchbank, £84 Sceugh Dyke, £83 Boreland, £80 Newton Cottages & Marchbank. Charollais £83 Maryholm & Tinnishall. Blackface £80 Boreland & Heathery Hall, £76 Dullator & Pitland Hills, £75 West Scales & Bush of Ewes, £74.50 Maryholm, £74 Clonrae, £72 Barlaes & Heathery Hall. A similar show of 3,038 cast ewes and rams were forward to the usual ring of buyers, with the best quality remaining similar as well as export ewes and plain ewes. Others proving harder to cash with a large number of weathered ewes lacking flesh. Rams easier on the week. 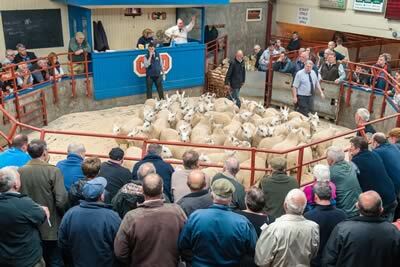 Sale topped at £160 and £158 for excellent Texel ewes from A Hamilton, Smyllum, Lanark. Hill ewes to £57 for Kerry Hill ewes from A & DA Budge, Achalone, Caithness. Rams sold to £116 for Texels from Messrs Edminson, Middle Farm, Carlisle. Texel £160, £158 Smyllum, £150 Chaseside & Eastside, £148 Tercrosset, £145 Beckfoot, £144 The Wreay, £137 Edendales, £135 Beckfoot, £130 The Wreay & Woodhead, £126 Springfield Farm Court, £124 Oswie, £118 Windyhill, £116 Chaseside & Woodhead, £114 Beckfoot, £112 Middle Farm, £110 Chapel Farm, £106 Olrig Mains, £104 Beckfoot, £101 Chaseside, £100 Chapel & Smyllum. Beltex £132 Stenries View, £96 The Wreay, £93 Upper Auchenlay, £91 Coalfell & Greenside, £90 Holme House & Low Aketon. Charollais £128 Chaseside, £122 Maryholm, £100 Beckfoot. Suffolk £114 Smyllum, £108 Chaseside & Eastside, £107, £105 Beckfoot, £100, £95 Chaseside, £94 Beckfoot & Eastside, £90 Chaseside. Cheviot Mule £106 Smyllum, £78 Barend, £70 Woodhead. Blue Faced Leicester £85 Eastside. North Country Cheviot £84 Chaseside, £75, £69 Olrig Mains. Cross £72 Upper Tinwald & Heathery Hall, £71 Fagra, £70 Springfield Farm Court, £69 Maryholm, £68 Beckhall & Breckon Hill, £66 Hollytree, £65 Greengatehouse, £64 Camelford, Eastside & Lower Ardmannoch, £61 Trailtrow, £60 Brackenthwaite. Cheviot £54 Allfornaught, £53 Upper Gelshfield, £45 Bowhill, Allfornaught & Camelford, £43 Skinnet, £42 Lynegar & Drumreach. Blackface £52 Brackenthwaite, £51 Heathery Hall & Clonrae, £50 Springfield Farm Court, Heathery Hall & Clonrae, £49 North Middleton & Clonrae, £48 Keith, Heathery Hall & Clonrae, £47, £46 Clonrae, £46 Toft House. Swaledale £45 Thirwell Castle, £42 Chapel Farm, £41 Burnhouse & Fordlands, £38 Gate Ghyll, £36 Woodhouse, £34 Allfornaught. Texel £116 Middle Farm, £114 The Wreay, £100 Marchbank, £95 Beckfoot, £90 Boreland. 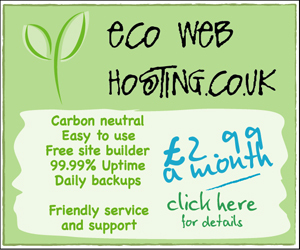 Charollais £92 Brackenthwaite, £90 Chaseside. North Country Cheviot £88 Marchbank, £80 Boreland.